Sadly, only one in ten American adults meet the recommended amount of fruits (1 ½ - 2 cups) and vegetables (2 – 3 cups) each day, according to the Centers for Disease Control and Prevention. If you sheepishly think to yourself that this is you, start the autumn season off with a healthy start and a hearty bowl of ratatouille. Ratatouille is a French stew packed with vegetables, including eggplant, zucchini, tomatoes, bell peppers and onions, and flavored with herbs. It's typically on the menu in the late summer of home gardeners who are looking for a way to use up their bounty before it rots. With the availability of produce at the grocery store and winter farmers markets, this warm stew, however, can be enjoyed throughout the cooler seasons, as well. It can be true that when vegetables enter the menu, so does the prep work of peeling and chopping them, as well as the time to cook them. Vegetables, though, don't always have to be whole or fresh. Swallow the extra cost and buy them pre-chopped, or look for no-added-salt frozen or canned versions. 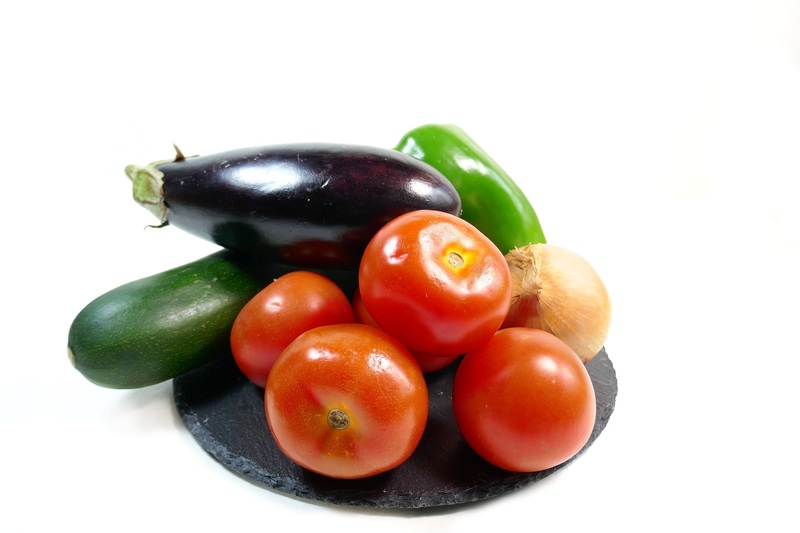 Try the recipe below to make ratatouille in the microwave, which can also save time. Ratatouille is packed with dietary fiber, potassium, vitamins A, C and K, folate and much more. With so many vegetables included, you're bound to meet the recommended daily amount of veggies your body needs. Combine the onion and oil in a 3-quart casserole dish. Cover, venting on the sides, and microwave on high for 1 ½ minutes, or until the onions are tender. Stir in the eggplant, zucchini, tomatoes, pepper, parsley, tomato paste, garlic, basil and thyme. Cover again, and microwave on high, stirring occasionally for 10 to 15 minutes, or until the vegetables are tender. Stir in the vinegar. Let stand about five minutes.